The first thing we wanted to know: What is worthy of a boo? An umpire’s bad call? A lousy rendition of the national anthem? Other booers? RENDELL: Politics and sports don’t mix. In fact, sports is in some ways the antithesis of politics because winning and losing is decided on the field, not how much money you raise or things like that. And politicians should generally stay away. Rendell shares his rules for booing, and why Philadelphia, the city he once presided over as mayor, doesn’t deserve its reputation as the city with the meanest sports fans. Philadelphians are passionate, Rendell argues, but they don’t make exceptions for poor performance, not even for Santa Claus. TEACHOUT: Tickets on Broadway cost an enormous amount. So that people feel I think obliged to vest themselves in the performance in a way that they might not if the ticket cost half as much. If you’re putting out a hundred and twenty-five dollars for your seat, you want your show to be good. And I think that there may be some built-in bias there that inclines you to enjoy what you see. Perhaps — although tickets for sporting events now cost a ton too, and that hasn’t stopped the booing there. In any case, not all theaters are protected from the boo. 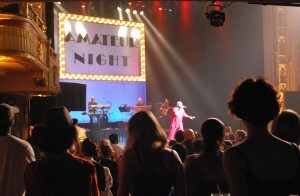 We visited Amateur Night at Harlem’s famed Apollo Theater, where the crowd is expected to vote with its voice. The Apollo has seen many future stars perform, but among those who got booed: James Brown, Luther Vandross and a young Lauryn Hill. LEVITT: I’ve never been booed, but I think that’s a bad thing, because I think in order to get booed, people actually have to have high expectations about you. Also in this episode: Rider University sociologist Richard Butsch talks about a lost tradition called audience sovereignty; author Robert Lipsyte (An Accidental Sportswriter) tells us how he failed to boo Luciano Pavarotti; UCLA sociologist Steve Clayman shows how to turn a boo back on the booers; and former San Francisco Giants shortstop Johnnie LeMaster recalls the soul-crushing heckling he got from his own fans, and how he turned it into a lasting boo-merang. "Tickets on Broadway cost an enormous amount. So that people feel I think obliged to vest themselves in the performance in a way that they might not if the ticket cost half as much." While I believe this is a major factor, I believe that another significant factor is that the type of people who would generally go see a Broadway performance (or, really, any classic theatrical performance) are also of a different temperment then the typical sports fan. That's not to say that sports fans are all a rowdy crowd, but it's pretty easy to see that the general atmosphere of the two types of performances are dramatically different. A third, but minor, factor I would also put forward is due to the frequency of viewing. Not many people will go and see the same play multiple times, yet that's basically what a sports team is doing. As a sports fan will generally be seeing their team play on a regular basis, they begin to see that lackluster performances are, in fact, lackluster, and are more inclined to "boo" them. On the contrary, I wouldn't be able to tell you if the actor's stumbling on a line in a play was their mistake, or actually an intended interpretation, so I would be more willing to let it pass as a result. "Perhaps — although tickets for sporting events now cost a ton too, and that hasn’t stopped the booing there." One difference between sport and theater, though, is that sporting events are competitive. You're typically rooting for one side and against another (and often against the referrees, or whatever). 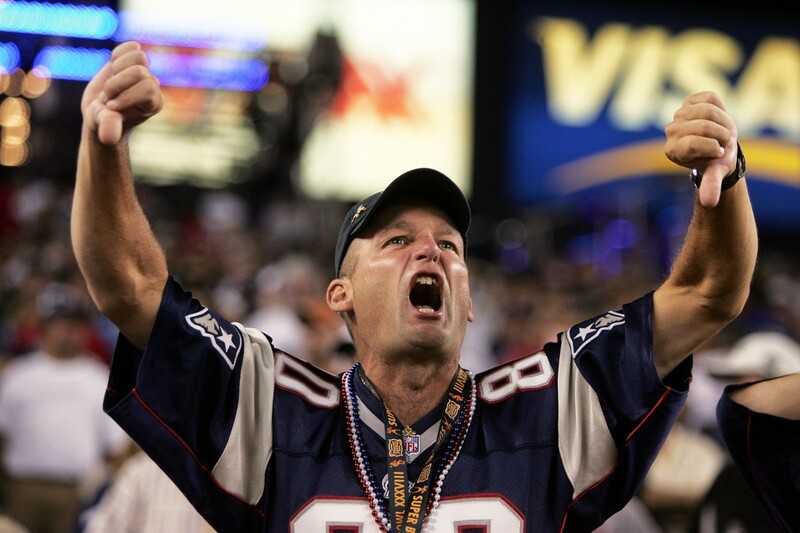 A fan can be forgiving of his team's mistakes and boo the opposing team or the officials with abandon. Not so much in theater. There, you either like the play or you don't. Could it be that when we go to the theater, we're not thinking of our expectations of the show but other people's expectation of us? What I mean is, we have a "high class" image in our heads of the people who go to Broadway shows and we know that show's that make it to Broadway are supposed to be "high art," so even if we don't enjoy it, we feel a social pressure to say it was a good show out of fear of being thought of as uncultured. When we go to a football game, we have no such fears and feel free to boo a bad performance. Wow, I guess I should have had that second cup of coffee. Yes I did enjoy the stories- another great episode. But as a potential follow-up that's loaded with quantitative data, would you consider looking at Internet trolls: negative commenters who slam authors, performers and movements? The issue of anonymity and trolls is at the heart of the real identity fracas taking place on Google's new social network that demands people use their real names. Speaking of which- Freakonomics needs a G+ page- the opportunity for thoughtful comments on episode topics would be great. Keep up the good work. I disagree. Politics has become exactly like sports. It's all about of mindlessly rooting for one's own team while demonizing the opponent for no objective reason. Then throw in a bunch of media-generated drama to keep it interesting for the home audience. Wear an Eagles jersey in Dallas and someone *might* yell something at you. Wear a Cowboys jersey in Philli and you might get shot. Eagles fans are known to throw batteries at opposing teams. His city is not getting a bad rap, it's just full of a**holes. Boo this episode. There were certainly bright spots and really great interviews, but there's something unpleasant listening to extended and frequent booing. Otherwise, you guys are great! Love Freakonomics Radio! I think that there's an obvious difference between the two. A play, a movie, or a TV show is designed to entertainment, and more often than not, has a happy ending. Assuming that it is executed well, it will have its desired effect. You'd have to be fool if you took the time to boo your TV screen, book, or computer screen, and Broadway plays are usually the performed by the best of the best, so they go about like clockwork. However, with a sporting event, to be happy it has to be executed and put on well, and your team has to win. That second part is something that's lost with arts and entertainment. Chance plays no favorites, and the league isn't allowed to rig a game to make one set of fans happy. I think that's the main reason, it doesn't have anything to do with the class of crowd that goes. I really enjoyed this show, as I do all of the freakonomics radio shows until the last few minutes. I did not care for the story about the football player, LeMasters, who got booed by fans in San Francisco because he said some bigoted things about gay people. As a gay man, I am not amused by stories of how bigots find cute and clever ways of avoiding being held accountable for the hateful things they say. I understand that wasn't really the point of the story, but I found LeMasters and backstory so rebarbative it ruined the whole program for me. i give this episode a big BOO. 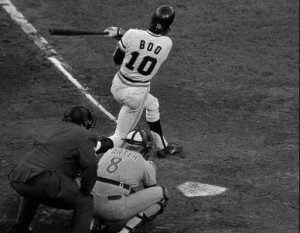 There was a classic case of Mike Schmidt being booed. He was out of town and gave an interview where he criticized the Philadelphia Fans. He heard about the fans reaction from our sports talk radio show, so the first home game he came out with a wig. I think he got it for the jokester, Larry Christianson. The fans boos turn to laughs and cheers. That ended the booing of Mike Schmidt, till the nest time. I was at that game. Schmidt played first base. He understood the fan base, and he understood the City. It is perhaps the most American of cities, which is why our friend from Dallas up above doesn't get it. No one has ever been shot at a Philadelphia sporting event! Unless you count the guy who ran on the field and got tased...and some people booed the cops for not getting the guy off the field fast enough after he was tased. I was trying to remember if he was playing first base or not. It is such a vivid memory, I feel like I was there. Was it a west coast trip that he gave the interview, and criticized the fans for booing? And just as I was connecting the dots between booing and the RadioLab episode Games, which had a discussion of why we root for underdogs. Ed Rendell deserves the biggest, loudest booooooo EVER for his role in the stealing of The Barnes. Art of the Steal. Watch it. A great example of booing and general catcalling is the British Parliament. The British know how to give it and know how to take it. They make us Americans look wimpy. The uproar over the "you lie" incident in congress is a great example of how we can't deal with dissent - it would have been great if Obama had responded with a real zinger. Where is the rest of the episode of Freakonomics on Booing on the podcast? Otherwise I love Freakonmics Radio. Luckily I got to hear on my local NPR station WBUR 90.9 FM in Boston tonight on January 29th, 2012 which I love also. Thank you Freaknomics.